Entrepreneurs learn the tools necessary to elevate their business and community. Sitting in the family restaurant, Hornos Don Victor, we get the sense that we’re experiencing the hub of a community. The restaurant is busy, packed with folks who know each other’s names and the atmosphere feels warm and welcoming. Patrons and staff alike seem happy to be there. 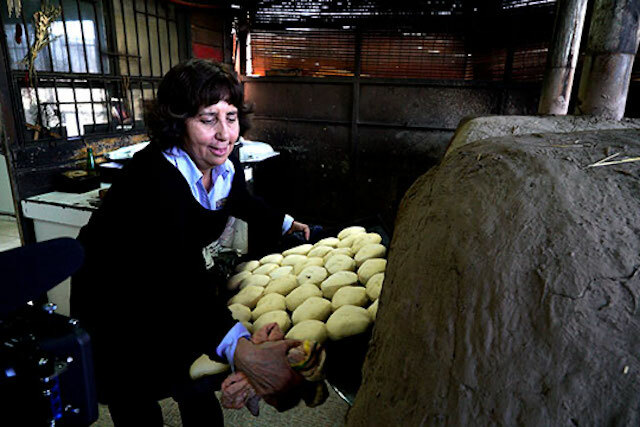 Eloisa Espinoza Ocampo and her sister opened Hornos Don Victor in 1999. By 2012, however, the restaurant was not doing well. Some days, the restaurant had no patrons at all. The Emerge program, an Anglo American and TechnoServe collaboration, was launched in 2011 in order to promote the economic development and well-being of community members in the areas where Anglo American operates. 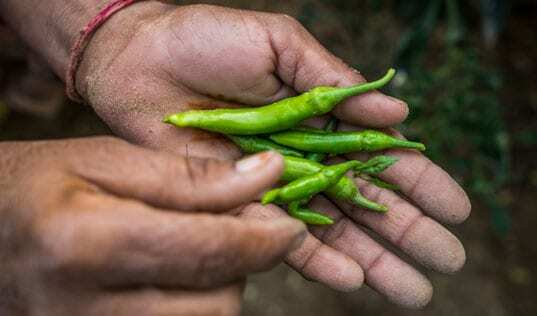 The program works to help entrepreneurs increase their sales, improve their livelihoods, and create new jobs, enhancing development opportunities in their own communities. The program has helped businesses grow by an average of 80 percent, one-and-a-half years after participation. Hornos Don Victor restaurant employs long-standing staff and serves many Colina community members. Eloisa worked closely with Corina Rivas, her TechnoServe Business Advisor, who taught Eloisa how to develop and implement her business plan, and connected her to business investment opportunities. The restaurant soon blossomed and continues to thrive today, six years after Eloisa first started her work with the program. “Thanks to [Emerge], the business grew 100 percent,”said Eloisa. 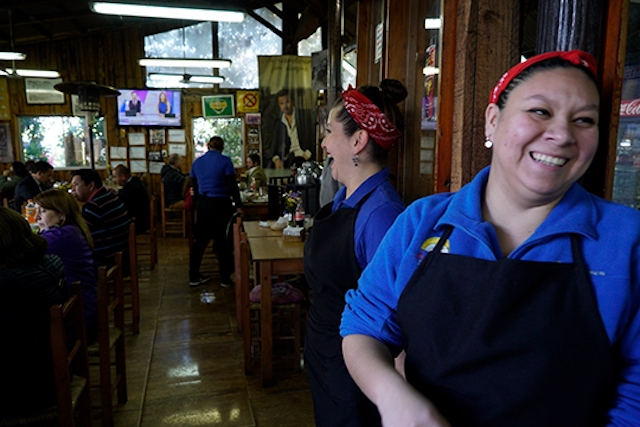 “I started hiring people--and not only Chileans, but immigrants as well.” Eloisa and her sister want their restaurant to benefit as many people in the community as possible. Eloisa Espinoza Ocampo places a fresh batch of empanadas in the oven. According to Eloisa, Hornos Don Victor has grown 100 percent following her participation in the Emerge program. That is the ultimate goal of the program, said Mark Cutifani, Chief Executive of Anglo American, speaking at TechnoServe’s 50th anniversary celebration in New York last month. 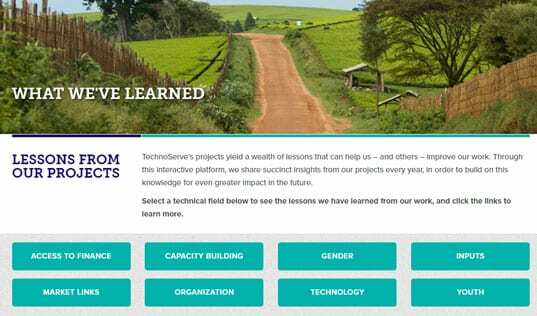 “The thing we can bring with a partner like TechnoServe is the ability to help communities help themselves, so they can understand how they can manage money and use money to create the community that they want,” he said. 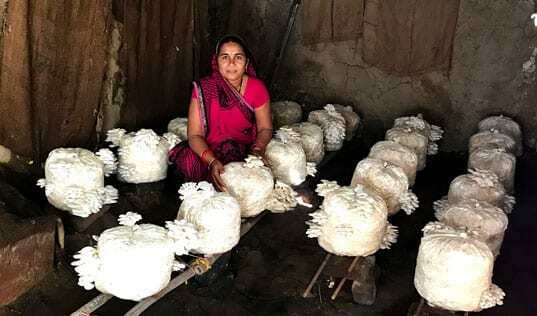 Learn more about how TechnoServe boosts entrepreneurship in developing countries.